The following instructions are for the Android App; instructions for the iOS version are slightly different. 1. Open the App on your mobile device. 3. Input your email, then enter your email address to get validation code. Click “Next” to set the account password and complete the registration process. Note: Please login your email before registration in case you miss the validation code. 1. If you can't find the validation code in your inbox, please check your spam folder. B. The model of your mobile phone. C. The version of your Zosi Smart app. D. Your registered email and password. 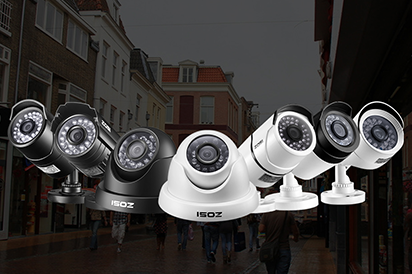 How to set up the cameras on ZOSI View PC client?